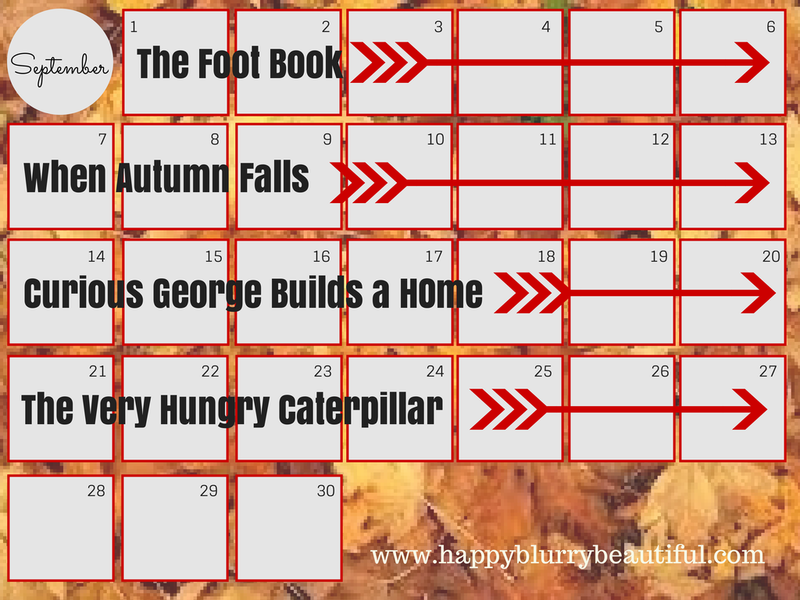 Yep, it’s the middle of September, and the end of our When Autumn Falls week! Not that autumn is near over…it’s just beginning, which means that we can spread out the autumn crafts, songs, and learning all season! 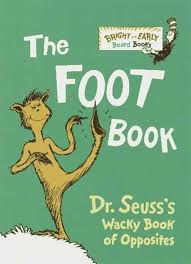 Last week was all about The Foot Book for our Toddler Book Club! Between reading it, singing the hokey pokey, and tickling 10 little piggies, we managed to get some time to have fizzy fun and some stomp painting! 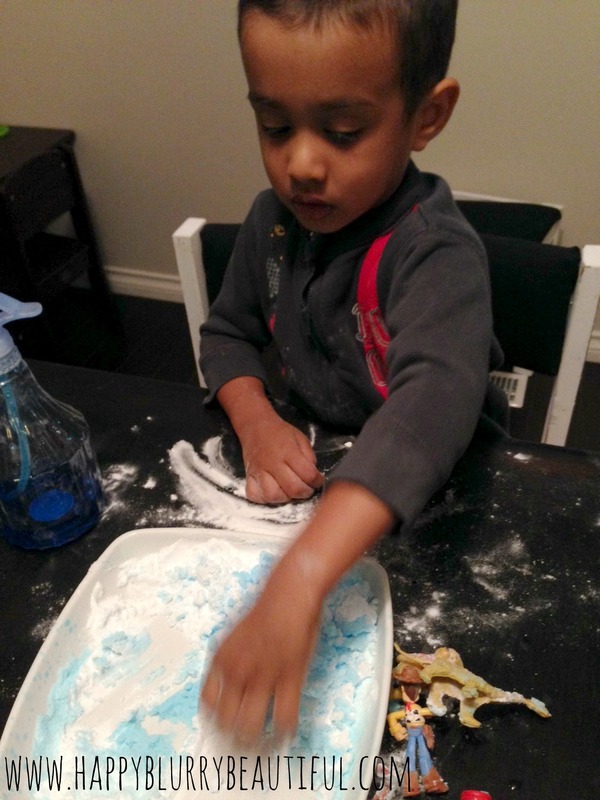 In our last book club post I mentioned a fun baking soda and vinegar activity that I found over on Toddler Approved. 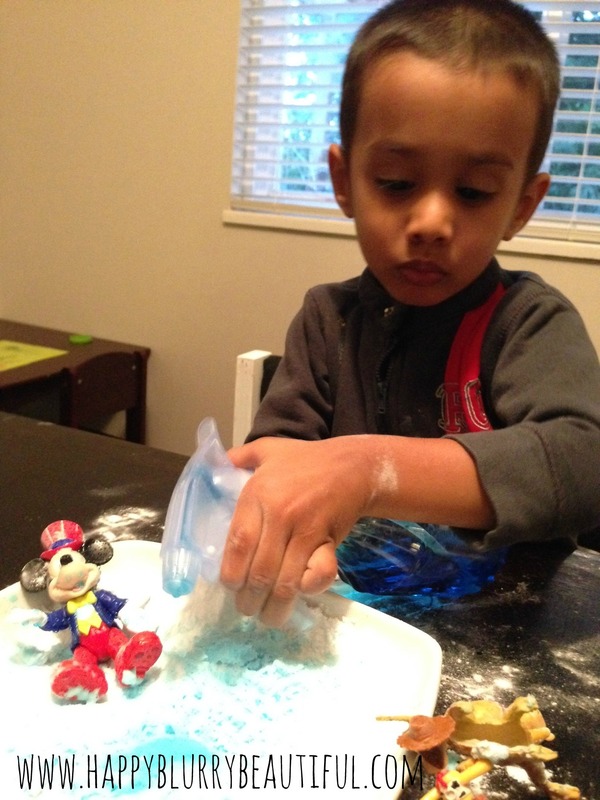 Little Bear had a blast with this activity and it was something he had never tried before! If using, combine water with colouring. 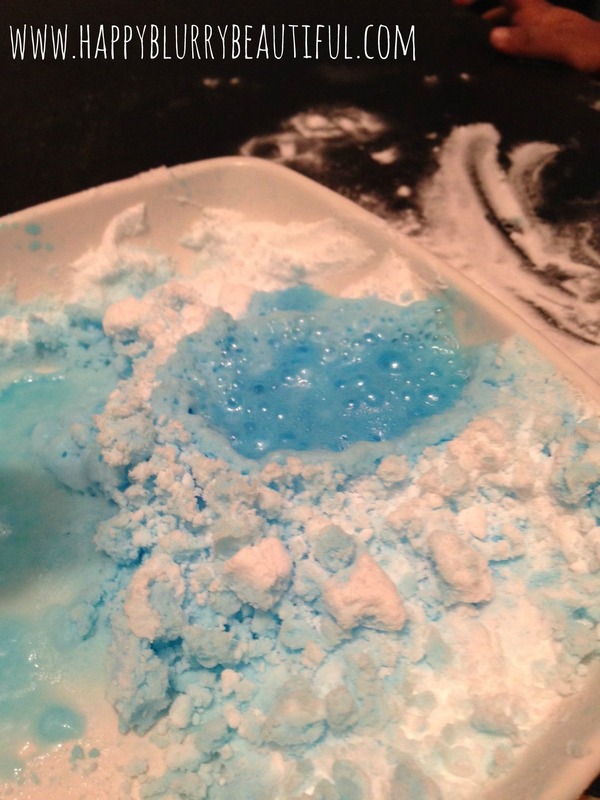 Put baking soda in dish. 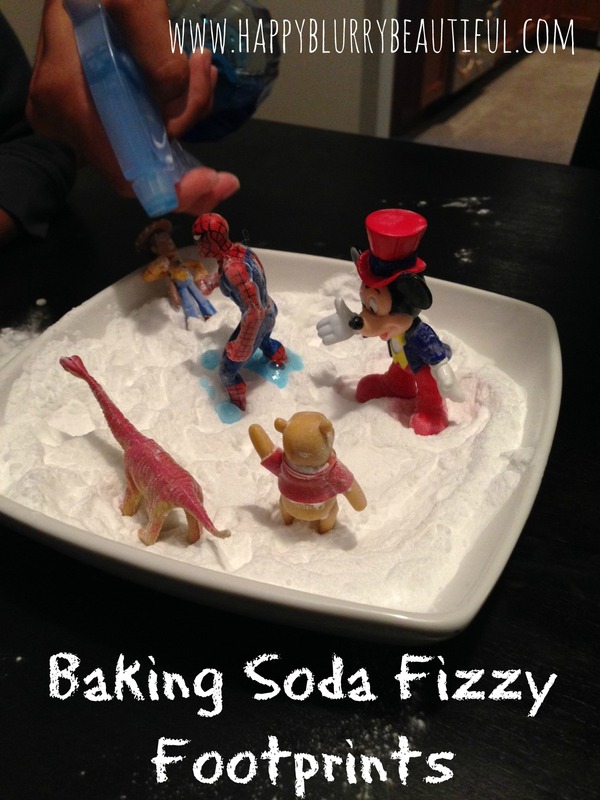 Invite your little one to play with the toys in the baking soda. Point out the footprints and talk about the different sizes and shapes that they are. 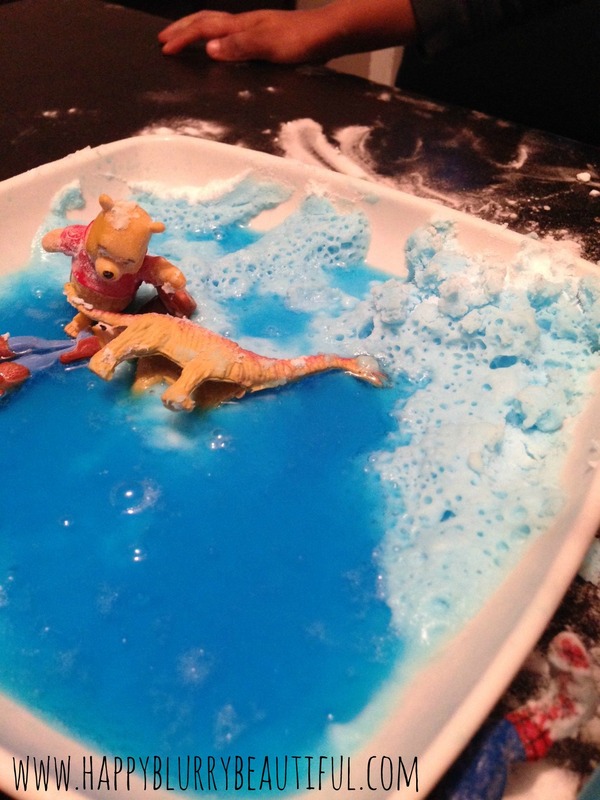 Finish off with having all the toys standing up in the baking soda. 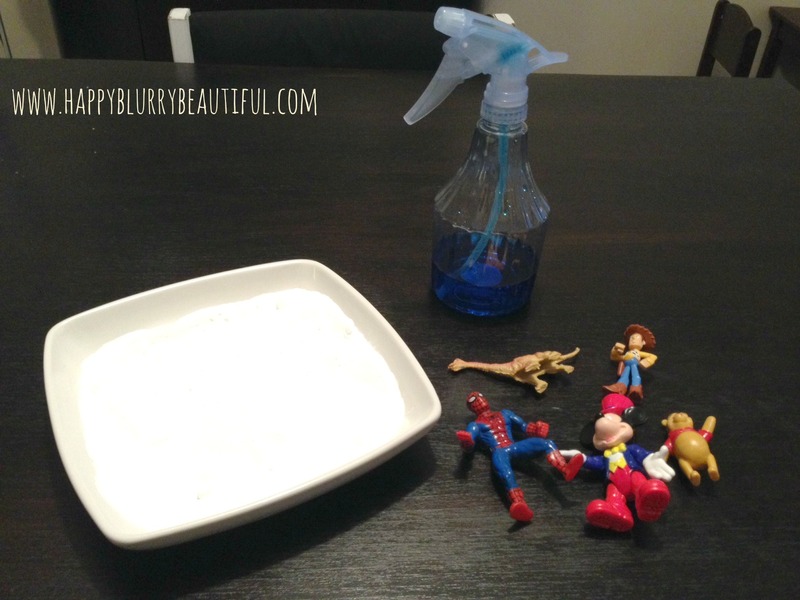 When ready, invite your little one to spray the vinegar on top of the feet of the toys. 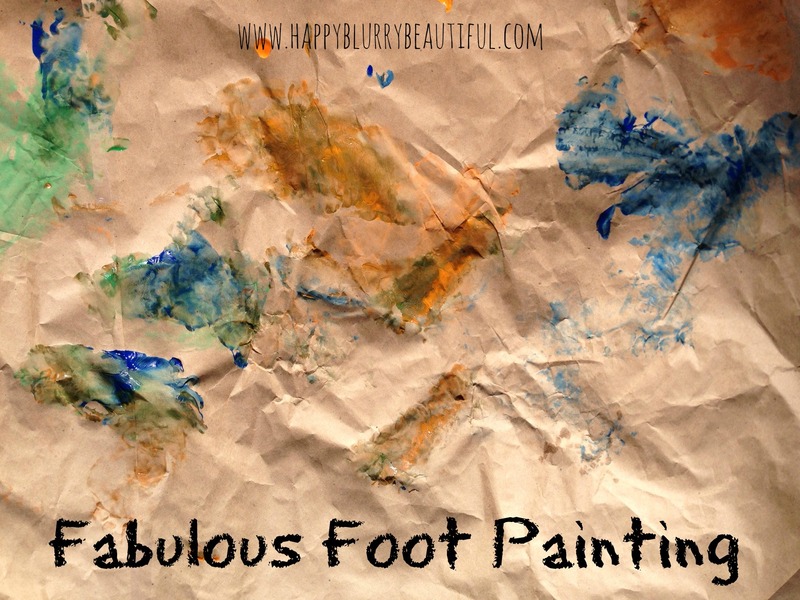 Another equally messy and fun activity that we did yesterday was our foot stomp painting! 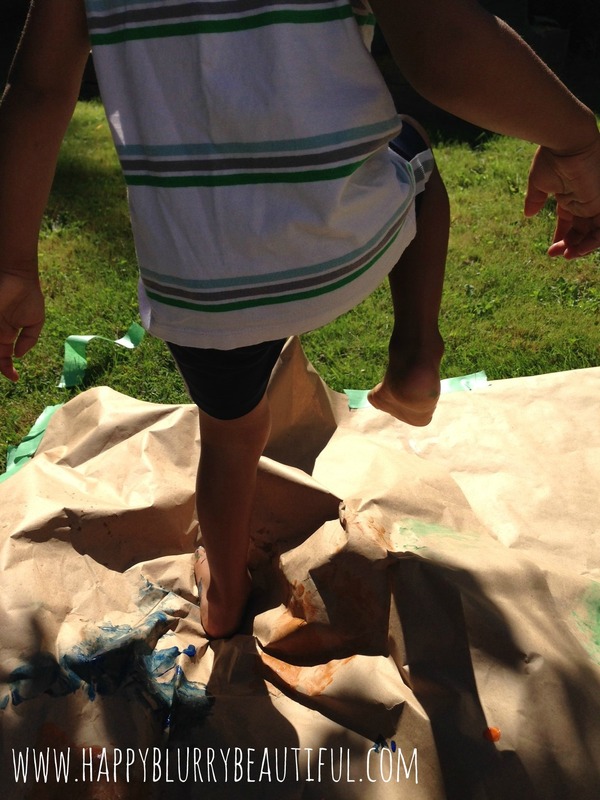 We got out some craft paper, some paints, and set ourselves up outside to make a foot painting! The aim of this is fun, nothing that you might necessarily frame as a keepsake. 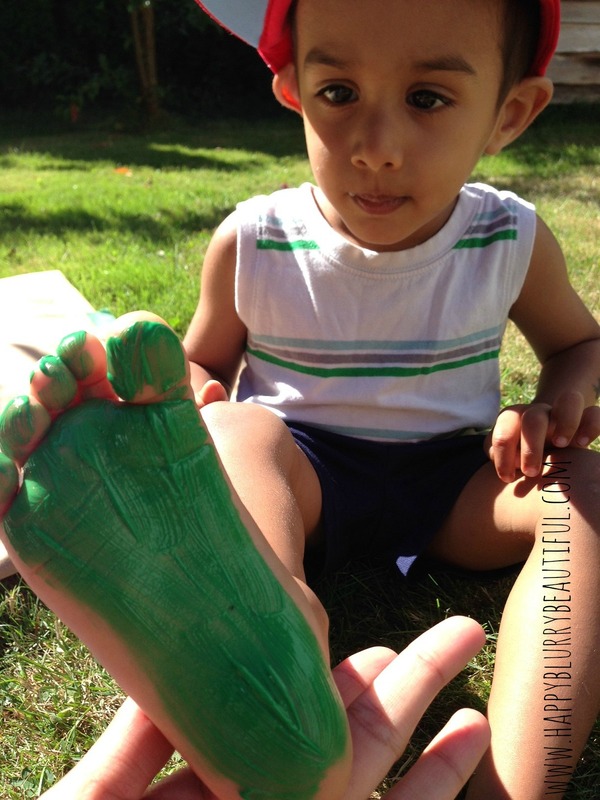 Be prepared for lots of giggles when you paint your little one’s feet, paint everywhere, and lots of fun to be had. Tip: Keep the dog away from the paint! Our dog secretly thinks he’s Picasso, but no one wants to clean paint off of paws! We also played our own version of Simon Says while painting this, with me giving commands and Little Bear following. Commands including marching, jumping, stomping, stepping with his left foot, standing on his right foot, etc. If you have a nice flat driveway, this would be a great place to do this activity. 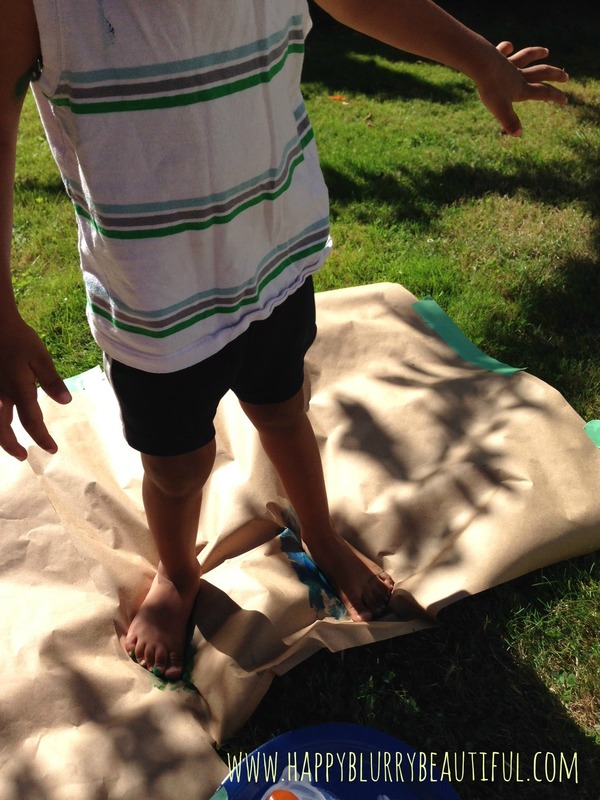 It was a bit hard keeping the craft paper on the grass (we used painter’s tape, which worked for a bit, but didn’t hold up with our Simon Says activity). Overall, the activities this week were a great way to practice different foot-based activities and left vs. right. 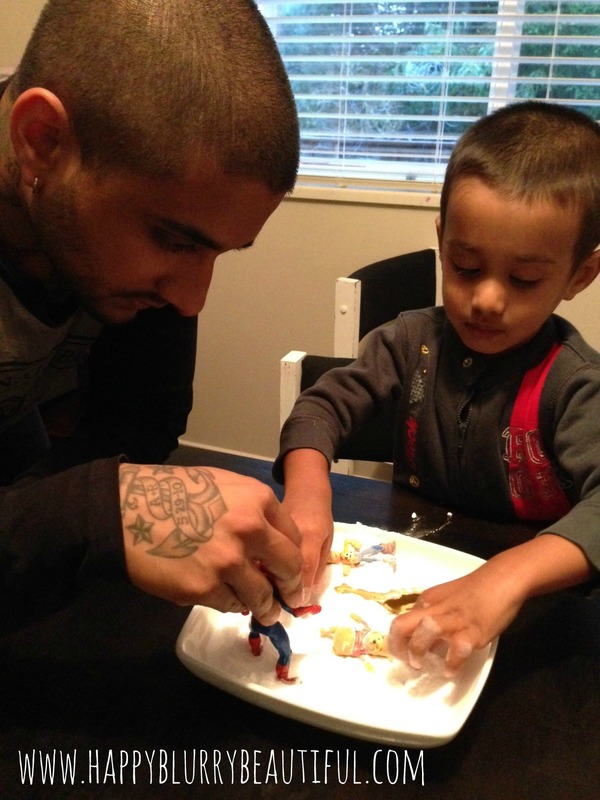 How do you like to practice left and right with your little one? September is here, folks…and you know what that means! Back to school time, leaves changing colour, the air gaining a crispness to it, and an abundance of pumpkin everything. I love all of it! September is my absolute favourite time of year and a wonderful time to be outside exploring all the changes with your little one. 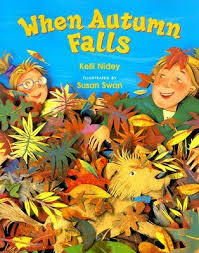 We’ve of course been reading One, which is a book Little Bear is very familiar with and a book that he loves! An emoji in permanent state of surprise? Nope…zero. Comes before one, but carries no value. Ouch, that can’t feel good! 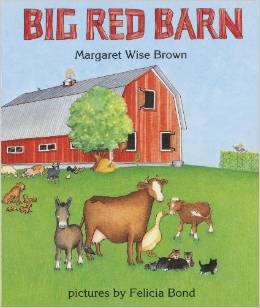 Welcome to our farm week, all centred around Big Red Barn by Margaret Wise Brown. 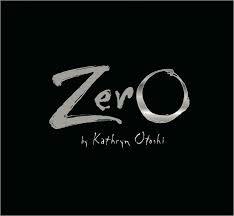 This is our second book for August. To find the first book, click here. To find the August schedule, click here. 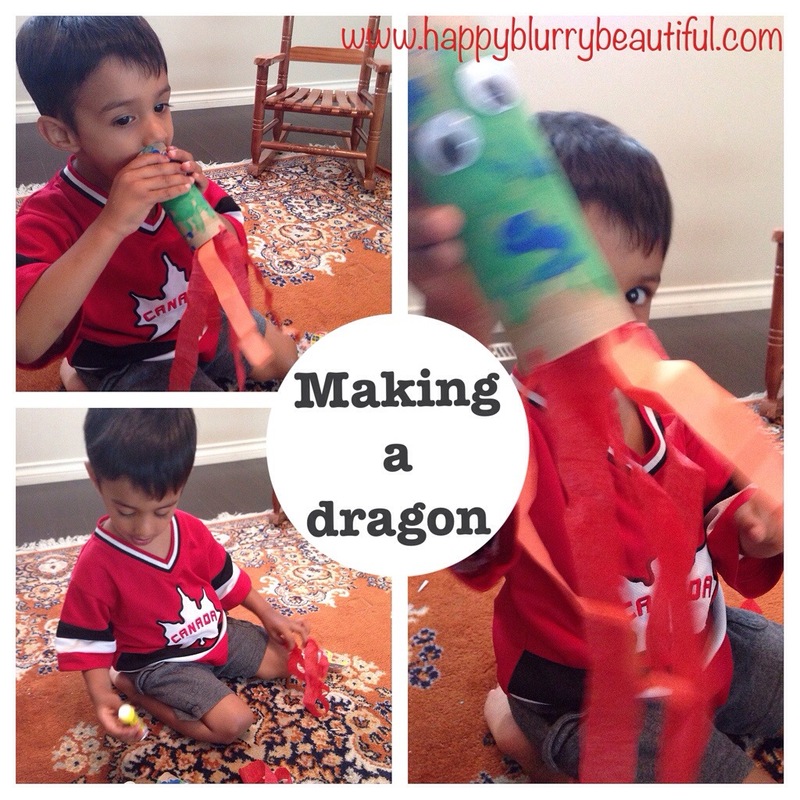 As part of our King Jack and Dragon week, Little Bear and I made fire-breathing dragons today. This activity is fun, hands-on, and helps your tot practice key fine motor skills (gluing, folding, ripping and painting). Welcome to the first (mid-) week of the August book club. Our week started off leisurely, as we forgot that we had a Monday while we relaxed in the sunshine of the long weekend. Today everyone was back to work, even the toddlers! Busy day of playing, creating, learning, and of course, reading! 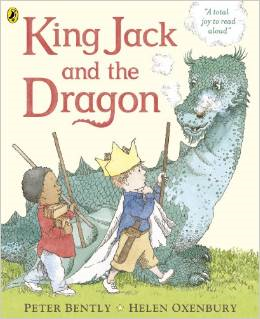 The first book is King Jack and the Dragon, by Peter Bently (with illustrations by Helen Oxenbury. For more on the book, including suggested activities, check out my original August post here. 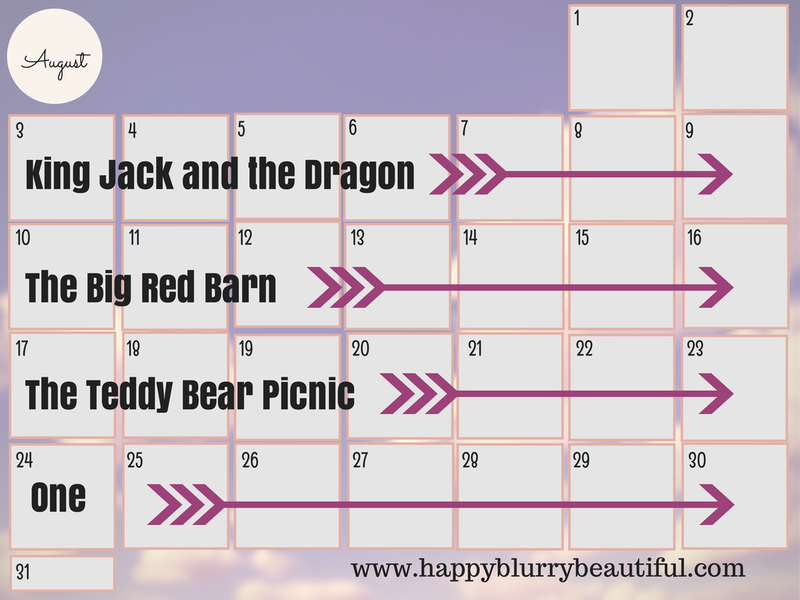 Today Little Bear was feeling a bit tired, so we did a lot more reading and free play and less structured play. He has read this book before and loves it, so he asked to read this book 5 times in just the afternoon and early evening. He was particularly interested in the pictures of the dragons and beasts, asking what they were. And since he was so sleepy, he had fun reading and cuddling a stuffed dragon that he was recently given by his aunt. Here it is, the first instalment of the Happy Blurry Beautiful Toddler book club!